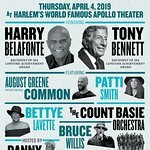 Some of music’s legendary performers have come together as part of a special celebrity charity auction for Hungerthon. Hungerthon was started in 1975 as a partnership between WhyHunger and Infinity Broadcasting and has since expanded to become an autumn radio tradition among the New York tri-state area radio stations in the CBS, Clear Channel and Emmis Radio Groups, and Sirius XM Satellite Radio, with support from Citadel New York stations, Last.FM and more. WhyHunger is a leader in building the movement to end hunger and poverty by connecting people to nutritious, affordable food and by supporting grassroots solutions that inspire self-reliance and community empowerment. 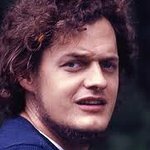 WhyHunger was founded in 1975 by the singer-songwriter Harry Chapin and radio talk-show host and current Executive Director Bill Ayres. Countless musicians have donated amazing expereinces and items to the Hungerthon 2010 auction. Going under the hammer are lots from Carlos Santana, Michael McDonald, the Grateful Dead, Tony Bennett, the Allman Brothers, Bruce Springsteen, Kenny Chesney, James Taylor, Carole King, Dave Matthews, David Cook, Train, David Byrne, David Bowie, John Mayer, Maroon 5, Damien Rice, Elvis Costello, Jackson Browne, Norah Jones, Tom Jones and many more. Visit CharityFolks.com to view the items and make a bid. The auction ends next week.